Having started his litigation practice in New Jersey in 1980, Jim moved to Southwest Florida in 1983 and practiced civil litigation with Henderson, Franklin, Starnes & Holt until early 2006. His practice consisted of approximately fifty percent construction litigation, and the other half covering a broad range that included commercial and business disputes, real estate matters, probate and trust litigation, and employment disputes. Jim started mediating in the early 1990s. In 1995, he became certified by the Florida Supreme Court as a Circuit Civil Mediator and, shortly thereafter, a certified U.S. District Court Mediator for the Middle District of Florida. He was one of the first mediators in Southwest Florida to become certified in Appellate Mediation when that certification became available in 2011. 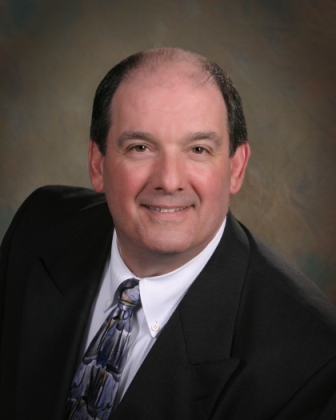 Initially, Jim mediated part time while he was still practicing law. In March 2006, he left Henderson Franklin to establish Nulman Mediation Services, Inc., a practice dedicated solely to providing mediation services. Jim’s practice grew quickly to the point where he was mediating (and continues to mediate) more than 200 cases a year. While handling a wide range of civil disputes, Jim has particular, extensive experience mediating matters involving construction litigation, insurance coverage, business disputes and employment cases. Jim’s mediation practice has grown from its early roots in Southwest Florida to be statewide. To better serve the needs of the Florida legal community, in January 2019, Nulman Mediation Services proudly announced the opening of its Central Florida office. Jim’s mediation philosophy is very simple: all civil disputes are subject to being settled and, with patience, persistence and follow up, the vast majority are settled. He is known for his “hands on,” evaluative approach that has led to his reputation as an effective mediator who helps settle the vast majority of cases in which he is involved. As an AV rated attorney, Jim regularly receives positive peer reviews highlighting his expertise in alternative dispute resolution. View the Martindale-Hubbell reviews.